per divenire Cala di Seta o meglio, Calasetta. 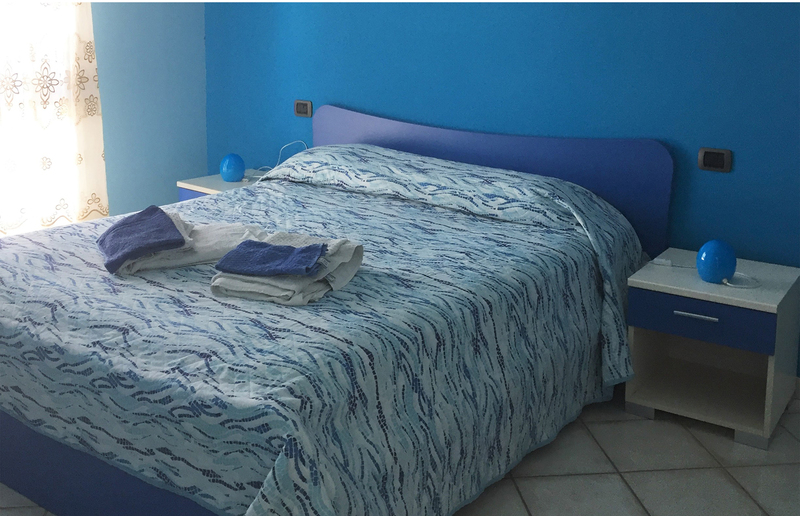 Welcome to the Website of Villa Acquamarina! With this romantic poem we would like to introduce you to a corner of paradise situated just a few minutes drive from beaches in the south west part of Sardinia, in Calasetta on the Island of S.Antioco, where a bridge connects the island to the rest of Sardinia. The island of S.Antioco offers many beaches and extremely interesting archaeological sites from the nuraghic, Phoenician-Punic and Roman periods. Just as fascinating is the nearby island of S. Pietro. It is a modern house built in 1998 on the edge of town, which guarantees both silence and ample parking. 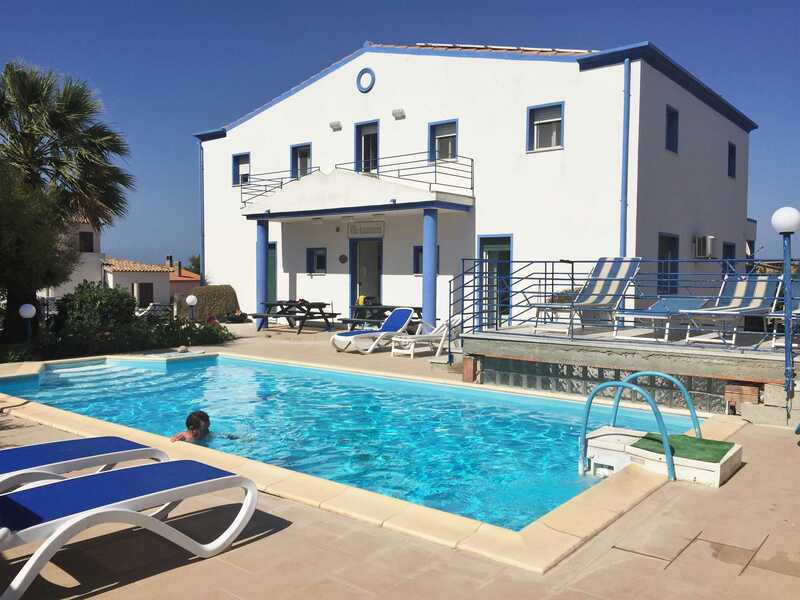 It is surrounded by a garden with pool, barbecue, outdoor shower, green lawn and characteristic vegetation: Palms, oleanders, junipers, agaves, melaleucas, tamerisks, jasmine, bougainvillaea, olive trees and datura. 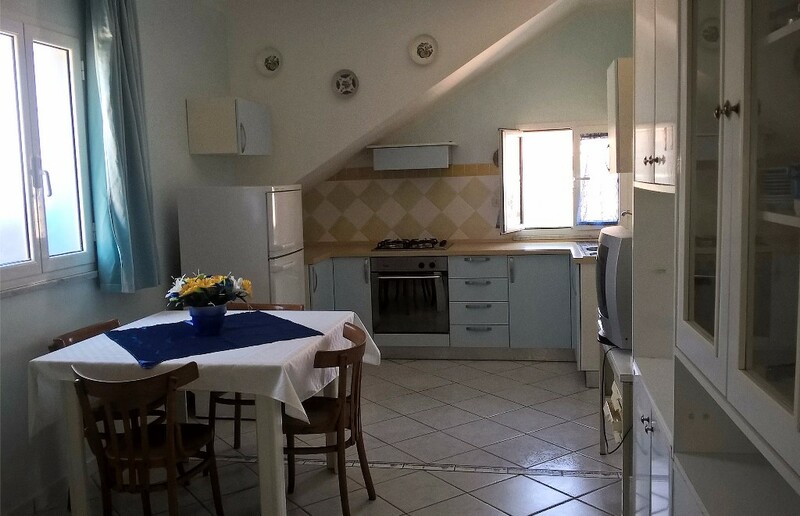 On the ground floor is a double bedroom (Alga) and a twin bedroom (Stella), a bathroom with bathtub, a wide hallway, a well-equipped kitchen with larder and a laundry room with shower. On the first floor are 2 double bedrooms (Lu and Gio`) each with en-suite bathroom with bathtub and closet and two twin bedrooms (Angy and Greg) that share the same bathroom with shower. The six very spacious bedrooms have every comfort: air-conditioning for the summer and heating for the winter, colour TVs and almost all of them lead out onto terraces or verandas. Furthermore, the house has a clothes-horse, a laundry room, a washing machine, an iron and ironing board, hairdryers, electric oven and refrigerator with freezer. There are no water restrictions and there is a well. The water is centrally heated by a gas boiler. 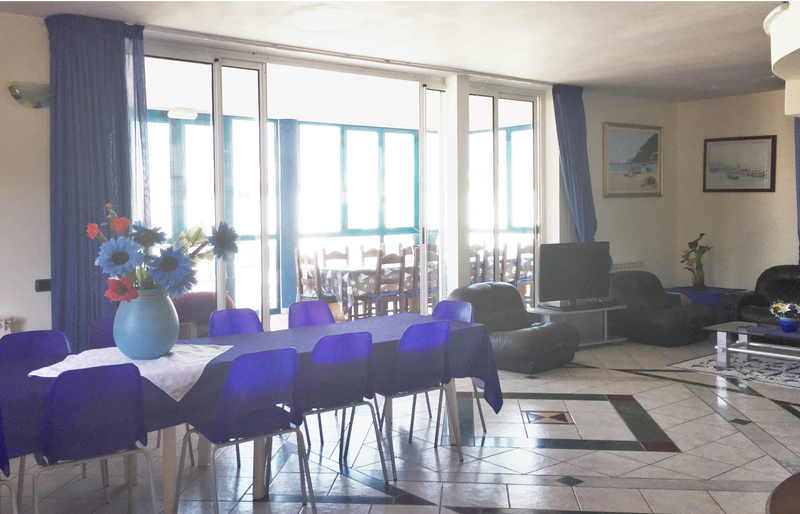 You can enjoy your holiday and completely relax since our house is well looked after.